Ever wonder why you would need a hood cleaner in the first place? Read on as we answer several of the most common questions about hood cleaning below! 1. WHY DO I NEED A HOOD CLEANING? 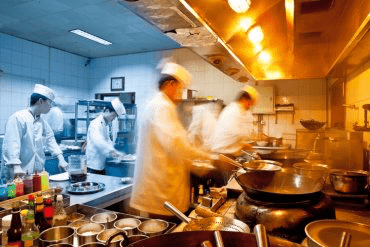 If you have a commercial kitchen cooking food that produces grease-laden vapors, then you have an exhaust system that is continually collecting grease and/or oils inside it, which is a fire hazard. 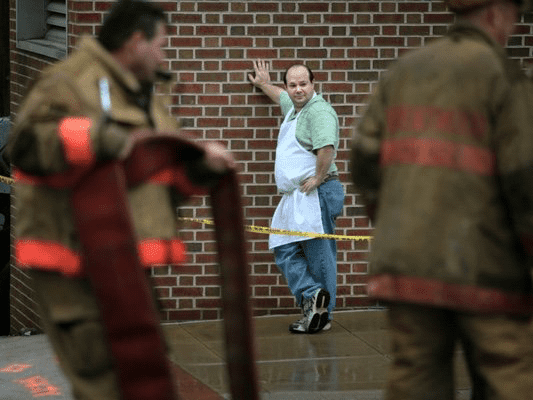 The fire code requires that the entire kitchen exhaust system be regularly inspected for grease buildup and cleaned prior to the interior surfaces becoming heavily contaminated with deposits from grease-laden vapors. 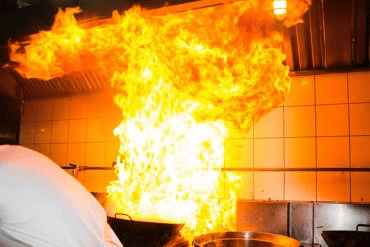 If you do not have this grease and/or oily buildup cleaned out regularly, then you have a growing fire hazard inside your restaurant exhaust system. This greasy buildup is like a “fuse” that leads up through the ducts of your building and onto your roof. When you have a flare-up while cooking, this can serve as the spark that ignites that “fuse”. Regular hood cleanings reduce your fire risk by removing that “fuse” –the combustible material– from inside your exhaust system. 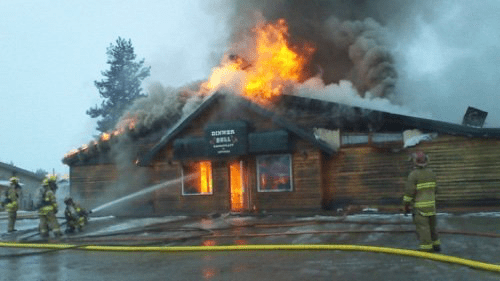 For more information about this particular restaurant fire, click this link. 2. WHY CAN’T I JUST CLEAN IT MYSELF? Although you may be able to wipe your hoods down and shine them, you most likely cannot get inside the ducts and fans, which is where the real fire hazard lies. 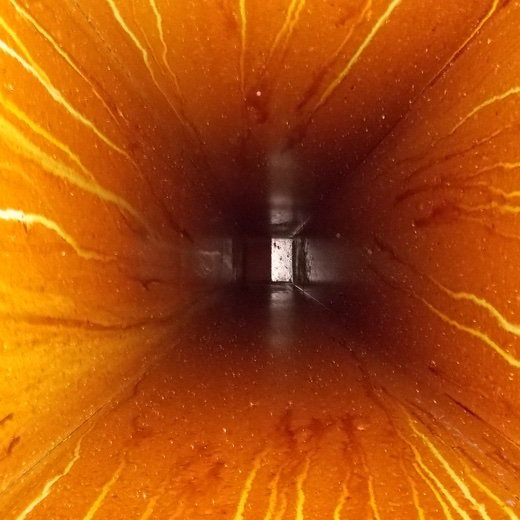 A certified hood cleaning company does more than just a cosmetic cleaning of your hoods– we remove the combustible material from inside your whole exhaust system. Also, properly trained & qualified hood cleaners can identify and offer solutions for other hazards that you may not be aware of. 3. WHAT IS INCLUDED IN A HOOD CLEANING? The purpose of kitchen hood exhaust cleaning is for fire prevention, not just to make the kitchen hoods look good. All accessible areas of the exhaust system should be cleaned, from the hood inside the kitchen to the roof. This includes the interior of the hood, the plenum area behind the hood filters, the duct, and the fan. 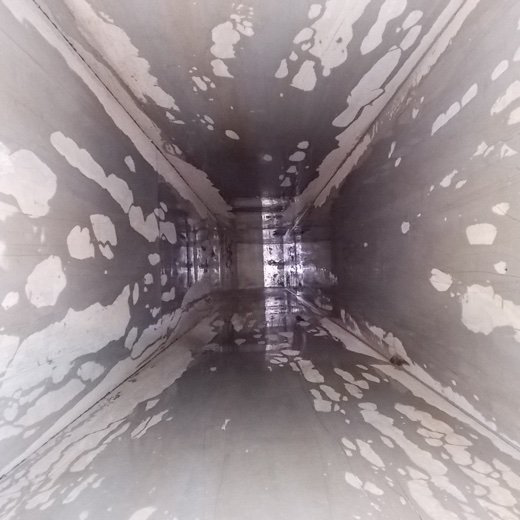 If there is any horizontal ducting, then access panel openings should be present and these should also be opened and cleaned out during every exhaust cleaning. 4. 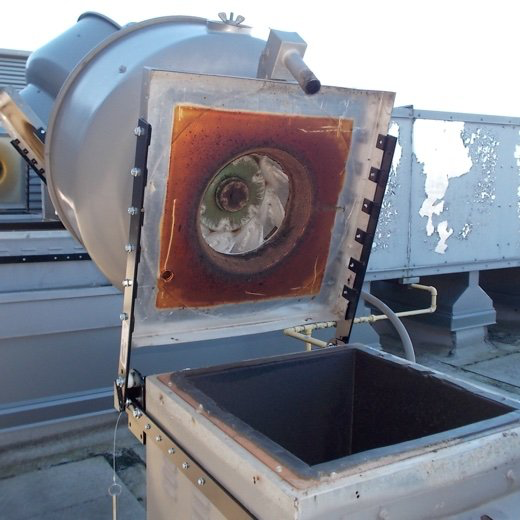 HOW OFTEN SHOULD MY EXHAUST HOOD SYSTEM BE CLEANED? According to the fire code, that depends on two things: 1.) what type of cooking you do and, 2.) your volume of cooking. For example, a busy fast food restaurant should be inspected & cleaned at least quarterly (4 times per year). On the other hand, a school may only need to be done once per year. And other locations or exhaust systems could fall somewhere in between that, depending on their type & volume of cooking. We can help you determine how often you should be inspected & cleaned in order to comply with health and fire codes. 5. HOW OFTEN SHOULD I CLEAN MY HOOD FILTERS? The hood filters are your first line of defense in keeping much of the grease out of your exhaust system, thereby reducing the buildup. As the grease-laden vapors pass through the filters, they collect and channel the grease down and out of your system into the drip pans. Because of this, the filters should be cleaned regularly –at least once a week– and even more often for a high-volume cooking location. 6. HOW DO I KNOW IF MY CLEANER IS DOING THE FULL CLEANING? By code, all accessible areas of the exhaust system should be cleaned, from inside the kitchen all the way to the roof. Since we have to work with gravity, the roof is really the starting point where 2/3 of your exhaust system is accessed for cleaning. 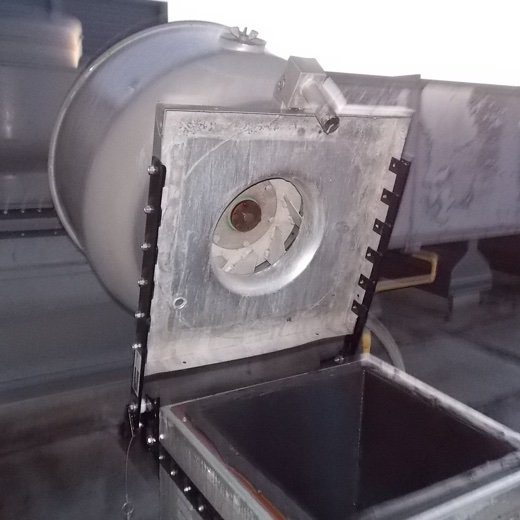 At the roof, upblast exhaust fans should be hinged for safe and easy access to the fan blades inside and the duct below. If a cleaner isn’t going up onto the roof or does not have safe access inside the fans, then they’re probably only cleaning 1/3 of your exhaust system– just the hood. We take digital photos of every cleaning and make them available to you for review afterwards, so you can be confident that you’re actually getting what you pay for– fire prevention throughout the whole system– not just a hood shine. Remember: A picture is worth a thousand words! That depends on several factors, such as the size of your hoods, the quantity of hoods and fans, how much ducting there is in-between, whether or not there is horizontal ducting involved, and the amount of access panel openings present and requiring service, just to name a few. We can come to your location at a time convenient for you in order look over your particular kitchen exhaust system setup(s) and then provide a quote tailored to your specific needs. The site survey / inspection visit should only take about 15 – 20 minutes per exhaust system. During this time, we will need access to the kitchen hoods and the rooftop, in order to take measurements and assess the entire system’s accessibility for cleaning. The exhaust system cleaning appointment will take much longer, especially on the first visit because we usually need to do a restorative cleaning to get the system back to maintained condition again. We can give you a better time estimation for the cleaning after we’ve done a full site survey / inspection. 9. HOW DO I SCHEDULE MY HOOD CLEANING APPOINTMENT? You don’t have to! As a restaurant owner or manager, you’re busy enough and this is just one more thing you don’t want to have to try to stay on top of. Once you agree to use our service, our scheduling desk will contact you to schedule each and every cleaning from then on. We track when your next cleaning is due so you don’t even have to think about it– and we’ll call you to set up the next appointment a few weeks in advance.